Submitted by lynn on Wednesday, February 28, 2018 - 10:42pm. 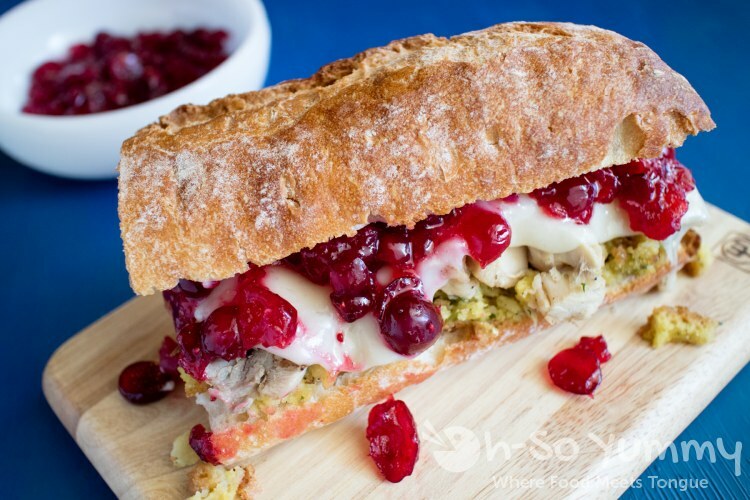 We made our own version of Capriotti's "The Bobbie"... cranberry, stuffing and turkey in a sandwich. For thanksgiving last year, Dennis made the BEST smoked turkey ever! We soaked it in turkey brine (recipe from Pioneer Woman), used my mom's recipe for stuffing the turkey and seasoning, then let Dennis work his magic in the smoker. This month, the remaining meat from that ~20 pound turkey was finally defrosted! Add to that some hearty bread, the cranberry orange sauce from Vons, and a quick cornbread stuffing mix, this was so so good! 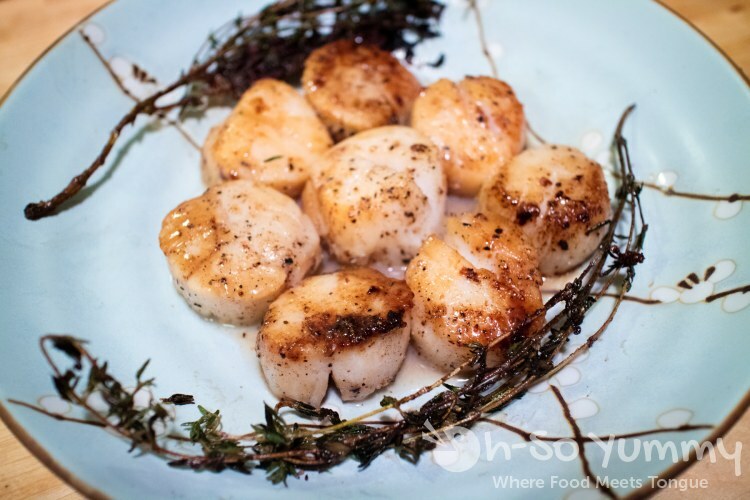 For Valentines Day, we ate in to avoid the hustle and bustle of restaurants. 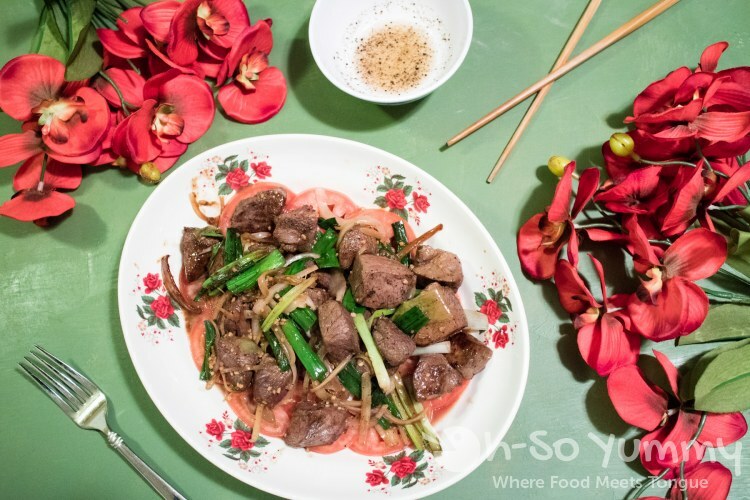 Dennis made Bo Luc Lac, also known as Vietnamese Shaking Beef (recipe from SeonKyoung Longest) and boy was it delicious! I love the caramelized onions and juicy filet mignon cubes. Look at that beautiful plating on tomatoes too! My contribution was the artsy fartsy food styling on top of my homemade photo background boards (made with Ani from Confessions of a Foodie). The blue board from the cranberry turkey sandwich is the reverse side of this green one! The majority of the time, we went out for some grub. One of my favorite eats this month was the Lobster Roll from Pete's Seafood and Sandwich. There's one pound of lobster in there! 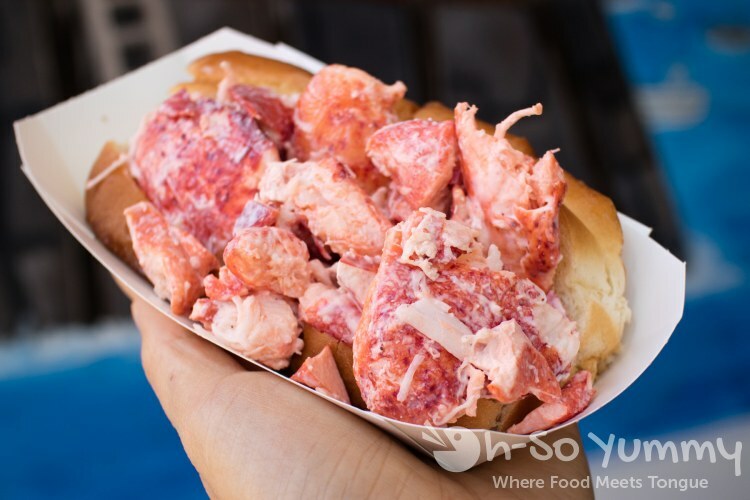 The last time we had this much lobster was at Pechanga's Lobster Buffer and you can guess how the buffets roll! I'm sort of a glutton at times too and was surprised when TacoManiaSD suddenly started on February 9th! In previous years, I totally tore it up, creating my own TacoManiaSD maps, then dragging Dennis or various friends along. This year, I was mostly booked during that time period so only made it to Sandbar Sports & Grill. Their offer was $2 for the smaller tacos or $8 for the popular TKO plus a house margarita or selected beer. I've also had their tacos at Tacotopia in years past. 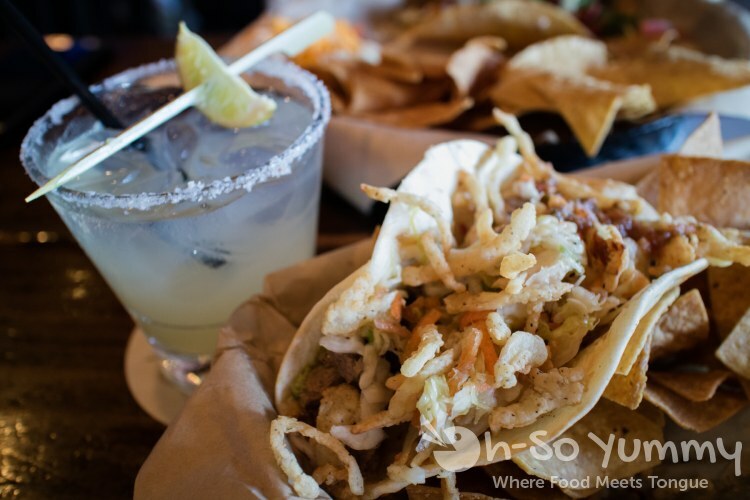 Next year I hope to visit tons of participating restaurants so I can finally write up my taco crawling adventures! 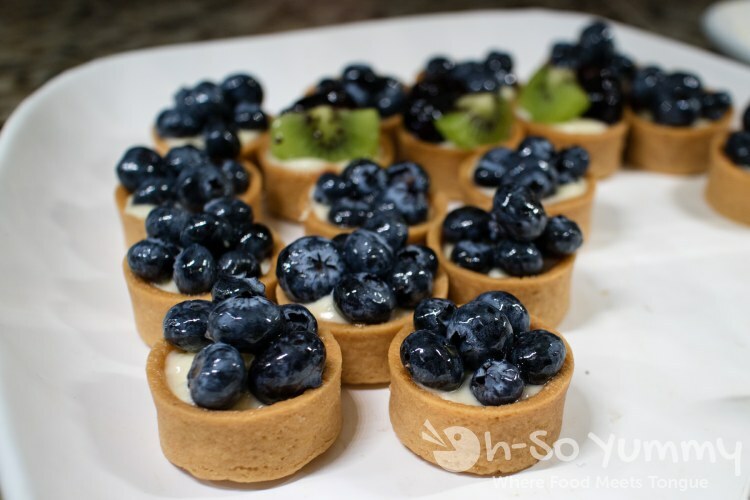 Here's some extra dessert pictures I took at our recent visit to Pechanga. Next month we're attending the 10th annual Chocolate Decadance and Wine Festival on March 9th and 10th. 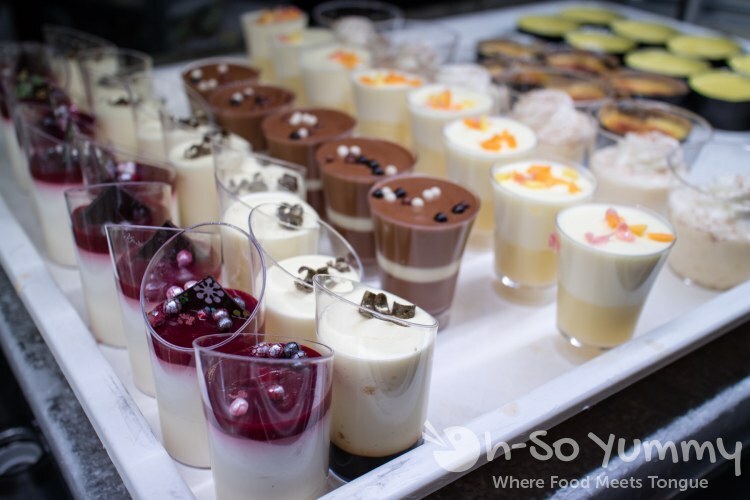 We covered this event back in 2016 (chocolate decadence & wine festival) and I'm sure this year will be just as fabulous! Hopefully I have a little more time for blogging in March too! I typically do the cooking at home but definitely enjoyed sitting back for once. Who does the cooking at your house? What is the favorite dish to make? You guys were eating good last month! That homemade Bobbie looks AWESOME! Great job, Dennis!! That lobster is really speaking to me. I'm SO hangry right now. Glad you linked up!!! Oh my goodness! I'm hungry again! Great photos. Thanks for sharing! Me wants that turkey sandwich...and the taco...and the desserts! I do most of the cooking in our house. A favorite right now is actually a low-carb chili, made mostly in the Instant Pot. Quick & delicious! That sandwich has me drooling!! i could eat like that every day! Whoa! Looks like you had lots of great things to eat. Full of flavor. Love it. These pics are amazing, and everything looks soooooo yummy!!! Great meals you had! At least your husband cooks! You are a very lucky gal! Bert does too but in a limited capacity. i usually do most of the cooking too but hubby just bought his first cookbook for carnivores so i'm expecting some yummy eats this year!